Cat5e & Cat6 Cabling are the most common type of computer and data cabling. It is used in nearly every modern commercial building for connecting computers, phones, printers and more to the company network or LAN. It is critical to almost every action in a modern business. With so much dependent on these systems it is critical they are well designed, installed and tested. A well designed cabling system allows simple reconfiguration of the network as required, simply by patching the relevant services into the right port. All businesses require voice and data connections and Twisted Pair Technologies has established itself as one of the UK's leading Structured Cabling providers, installing Structured Cabling Systems complying with British and International Standards including; BS6701:2004, BS EN50173, BS EN50174, and BS7671.. We are accredited installers for major systems manufacturers such as, Molex Premise Networks, Excel, Euro-Lan, with each system carrying a full product and performance warranty which is underwritten and supported by the manufacturer directly. Our team of experienced trained staff will work with you to ensure the correct system is designed for your business, from a single wall outlet to thousands of outlets you can rest assured that the system design and installation will be right first time, on time, with results to be proud of. We install, test and certify Cat5e, Cat6 and Cat6a networks up to a data speed of 10G-bit per second. All of our installations come with a full test report to show exactly what data speed you can expect along with a 25 year manufacturers guarantee. Please contact our sales team to discuss what suits your business needs. Cat5e & Cat6 Cabling are the most common type of computer and data cabling. It is used in nearly every modern commercial building for connecting computers, phones, printers, etc. to the company network or LAN It is critical to almost every action in a modern business. With so much dependant on these system it is critical they are well designed, installed and tested. A well designed cabling system allows simple reconfiguration of the network as required, simply by patching the relevant services into the right port. Twisted Pair Technologies can design, install and certify all copper network standards cat5e, cat6 & cat6a. We have extensive experience in all commercial environments, working on links from one point to thousands. We can offer the complete network solution including all data cabinets, patch leads and even network switches, with systems designed to meet you current and future requirements. We are certified cabling partners for some of the UK’s leading cable manufacturers including: Excel, Molex & EuroLAN. We work with a range of IT support companies, electrical contractors and construction companies to supply complete network solutions across a range of industries. Twisted Pair Technologies can design, install and certify all copper network standards cat5e, cat6 & cat6a. We have extensive experience in all commercial environments, working on links from one point to thousands. We can offer the complete network solution including all data cabinets, patch leads and even network switches, with systems designed to meet your current and future requirements. 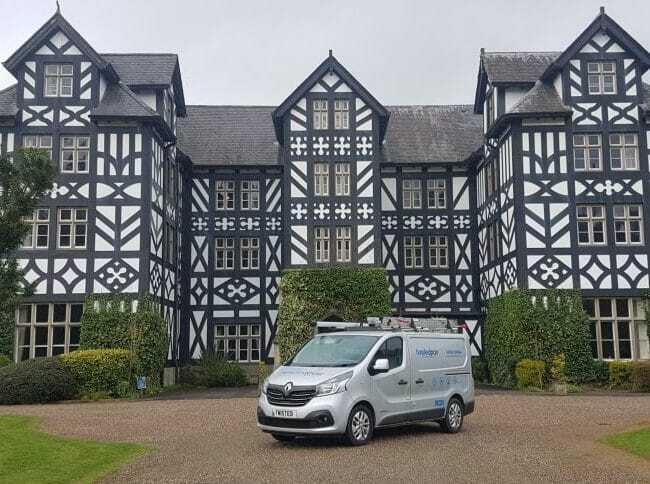 Once installed we can issue a 25 year network performance warranty to ensure trouble free connectivity for the lifetime of the installation. We are certified cabling partners for some of the UK’s leading cable manufacturers including: Excel, Molex & EuroLAN. We work with a range of IT support companies, electrical contractors and construction companies to supply complete network solutions across a range of industries. Why is correctly installed Data Cabling so Important? You could waste a fortune on a much faster server for work and upgraded your network switches but if the cabling that connects them is no good you might not see much improvement. Therefore saving large files may still be slow and problematic. Most IT companies understand the hardware but are unlikely to have the test gear to full check the cable status. Also there are regulation over how close you can run these data cables to power cables etc, which most of these companies will never have read or understand. Basically anyone can take a piece of Cat5 or Cat6 data cable and crimp some ends on it. However these are very sensitive at high data rates. Even putting a cable tie too tight can reduce the capacity of the cable. A good analogy is you can have the fastest car in the world but if your only way to get to where you need to go is a rough narrow dirt track, then it’s quicker to walk!